7/3/2016, and this morning I received a Raspberry Pi model 3 in the post from New-IT. It has been unintentionally far to long since I posted here on my blog and receiving the new Raspberry Pi is a great time to get going again !!!! 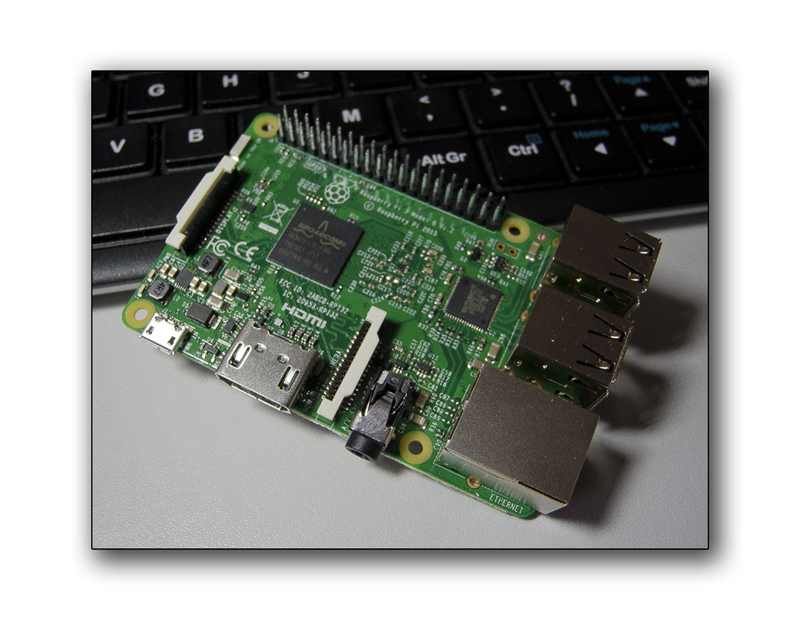 I have already setup the Pi-3, installing Raspbian Linux. The first and very early impressions are very good, the boot time of the new Broadcom 64-bit quad-core ARMv8 CPU clocked at 1.2GHz is much faster than the Pi-2 although in all honesty the Pi-2’s speed was still very good. 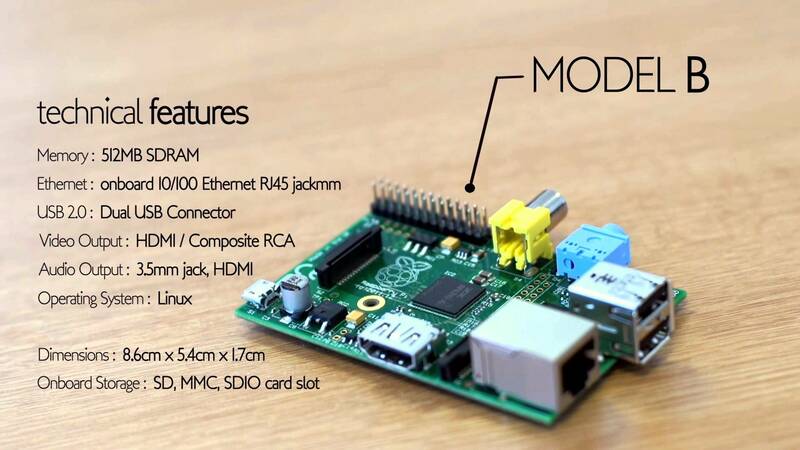 It’s not the speed factor that attracted me to purchase the new Pi, its was the fact that the board has both Wi-Fi and Bluetooth connectivity on-board and this combined with the fact the the CPU is now 64bit offers some exciting prospects for future operating systems that will become available given time. My main use for this board will be in connection with the Raspberry Pi Sensor hat, developing some Python and C++ applications in combination with my Pi-2 boards used to display the status of the sensors connected to the new Pi-3. 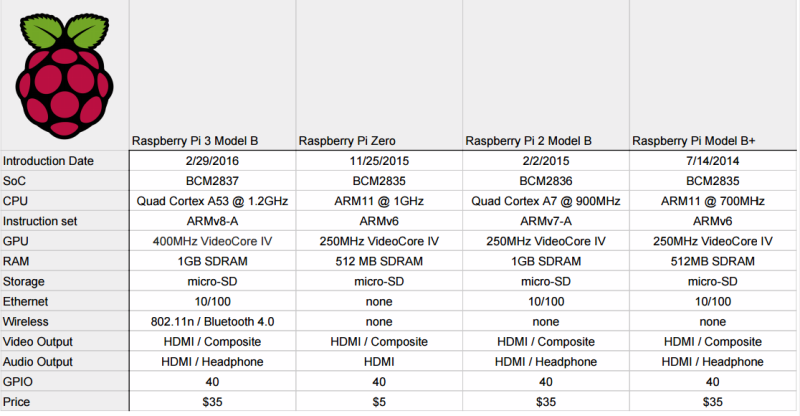 Here is a list of Raspberry pi specifications since almost the lunch of the first raspberry Pi four years ago. This entry was posted in Development boards, Raspberry pi and tagged Broadcom BCM2837, c++, Linux, Nigel Borrington, Python, Raspberry Pi 3, Raspbian, Single board computers. Bookmark the permalink. Nice… I’m really excited about the Raspberry Pi 3 – thinking about taking one and a small television and making a “writing machine” with it. I’m having to hold off a bit because of financial strain, but I’ll let you know when I go ahead.